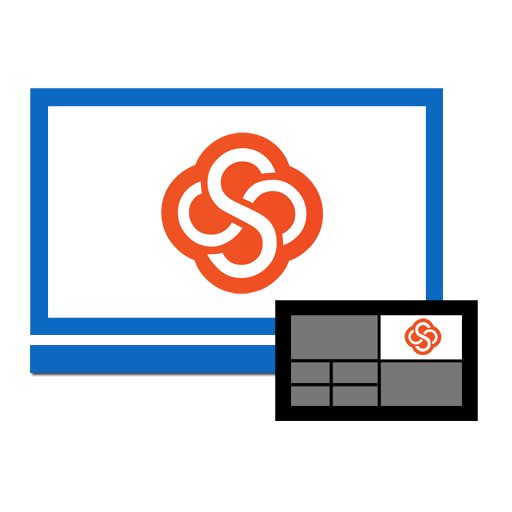 Switcher Studio can show anything that happens on your computer, whether it’s PowerPoint, Keynote, documents, websites, YouTube videos, etc. To get started, connect your computer to the same WiFi network as the other devices and launch the Mac screen-sharing app, Switcher Cast. To install Switcher Cast onto your Mac, click HERE. Now, the computer's FaceTime HD camera, the main display, as well as any connected displays will begin broadcasting an rlcc:// URL. These sources will now show up under the “Inputs” section of the main mixing device. Select your Display from the “Inputs” menu, and it will now be available as one of your sources. 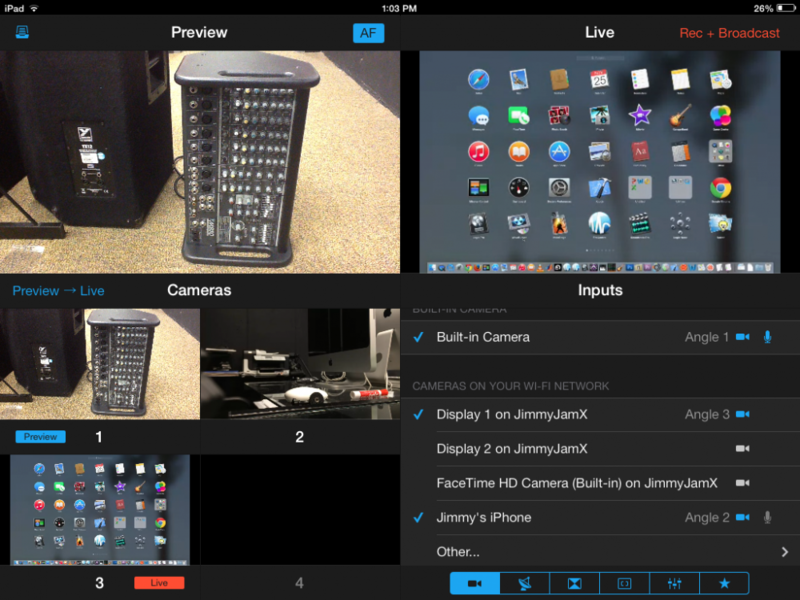 The Switcher Cast window will now show which devices are controlling each source. Note: Screen-sharing from your computer does NOT transmit audio. To include audio playback from your computer, you must first run an audio cable from the headphone jack on your computer into an audio mixer connected to the main switching iOS device. For best results, we recommend setting your computer's screen resolution to 1920x1080. You can also improve quality by showing full-screen presentations and graphics. If your text seems illegible, try using larger font sizes.